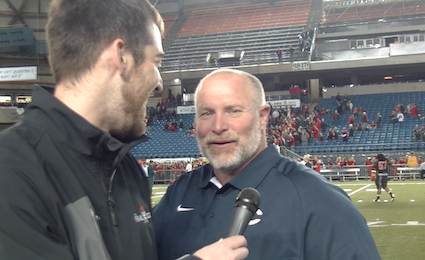 Jon Eagle has built a powerhouse at Camas High School since taking over as head coach in 2008 compiling an 84-14 record in that stretch. 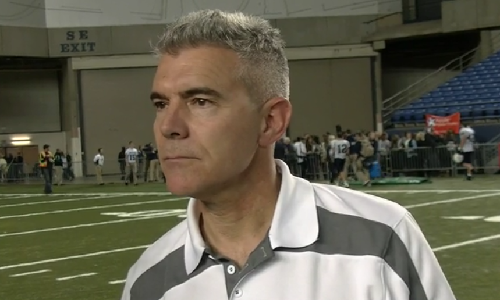 Listen as Coach Eagle talks about his #2 ranked team in 4A including the 3-0 start his team is off to this season and his keys to maintaining a high caliber of football year after year! 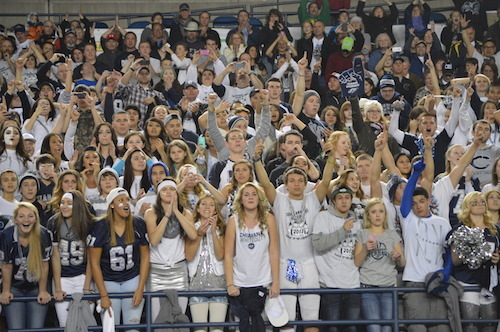 In a much deserving matchup of two of the top teams in the state, the Union Titans faced off against the Federal Way Eagles, with an opportunity to face Davis in the 4A state finals. Davis would be a favorable matchup for the Eagles, who doubled up the Pirates early in the year, 88-43. This game got out of control early. The athleticism of the Eagles was far too much for a one loss Union team to handle. Before anyone in the Tacoma Dome knew what was going on, Federal Way was off to a 23-6 lead and closed the first at 26-7. Union finally woke up in the second quarter. Coach Conley emphasized defense and taking care of the basketball and that focus brought Union within 12. Unfortunately, they still could not stop Viont’e Daniels. He was in complete control of the first half and at one point had as many points (18) as Union had as a team. The Eagles led by 13, 40-27 at the half. If you are down 13 at the half and are completely outmatched in both the half court and transition, it pays dividends to come out in the second half with more intensity than your opposition. That is what the Titans did, going on an 8-2 run to start the third, cutting the Eagle lead to just seven. Their momentum continued in the third quarter, and for some reason, Federal Way took their foot off the gas pedal and began to coast offensively. 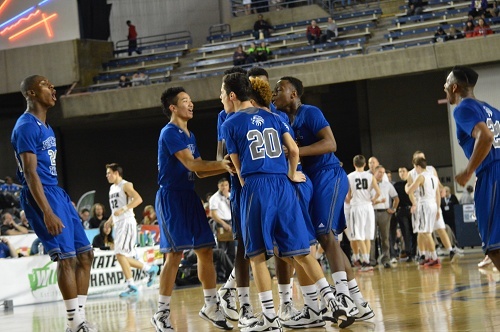 It was a close game going into the fourth, with the Federal Way lead down to just five points. An immediate three to start the fourth from Micah Paulson of the Titans pulled Union within two points. Two free-throws by Paulson with 6 minutes remaining tied the game, the first tie since the game began. After a few back and forth possessions, Riley Hawken found himself at the line with 2:18 left, shooting two and down two. He made one, and the Eagles led 59-58. Ferron Flavors hit one free-throw for the Eagles to push the lead up to two, 60-58. A beautiful block by Jalen McDaniels gave Federal Way the ball back, but a steal by Hawken put the ball back in the Titans hands with 44 seconds remaining. Without knowing the time remaining on the shot clock, Union turned the ball over and immediately fouled Christian Jones. Jones missed the front end, but the Eagles pulled an offensive rebound and got the ball to their star, Viont’e Daniels. He also missed the front end, giving Union a chance at the win with a rebound. Paulson got it for the Titans, pulled up for a transition three with 10 seconds remaining and missed everything, rebounded by the Eagles. Jones made one of two, giving the Titans yet another opportunity to tie, but this time Cameron Cranston’s three missed just left, and the Eagles pulled the hang on victory 61-58. 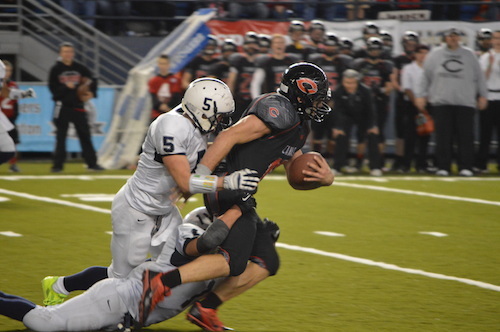 In the primetime game at the Tacoma Dome on semifinal Saturday, the Bellarmine Prep Lions faced off against the Papermakers of Camas for a trip to the 4A state final. 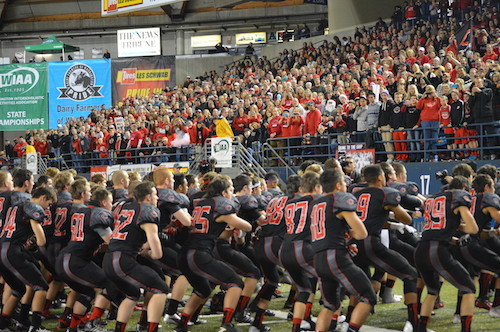 Bellarmine came into the contest with two losses this season, Camas entered undefeated. The Papermakers came out strong in this contest, scoring two touchdowns in the first five minutes of the game, both on passes from Reilly Hennessey to Zach Eagle. Bellarmine was able to respond with a Garrett McKay touchdown catch later in the quarter, but the Papermakers kept the pressure on with another scoring drive to close the quarter with a 21-7 lead. Of the Papermakers six first half possessions, five resulted in touchdowns. Bellarmine could not find a way to slow down the Papermakers, who amassed 406 first half yards. Camas led 35-14 at the break. Scoring slowed down in the third quarter, with only a Jason Vailea touchdown run for the Papermakers, his second on the night. Bellarmine did put together a great drive in the quarter but a fourth down touchdown pass by Lou Millie was negated by an illegal forward pass which gave the ball back to Camas. With the game in hand, both teams added another score in the fourth quarter. 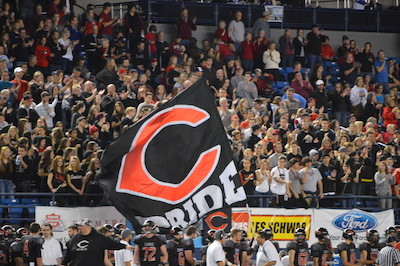 Camas closed Bellarmine Prep’s season with a commanding 49-21 win. 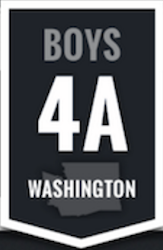 The Papermakers will play Chiawana on December 7th for the 4A state championship.